Do Garages Add Value on Home Appraisals? 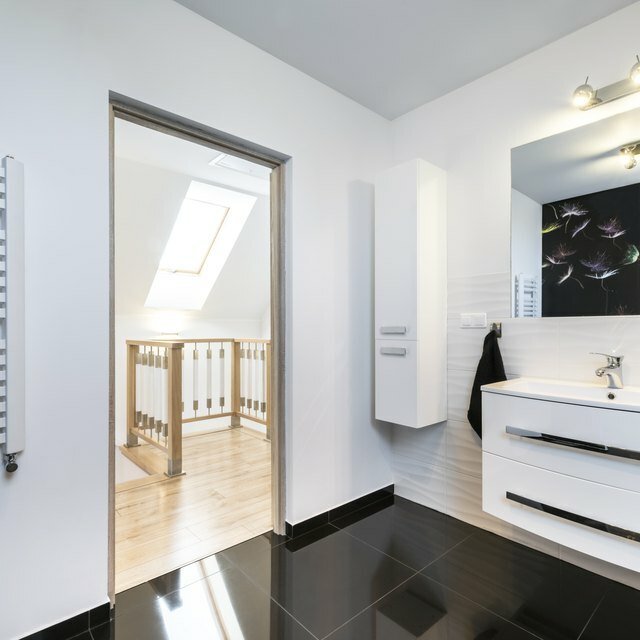 How Much Does a New Bathroom Increase the Value of a House? Whether you're in the process of refinancing an existing mortgage loan or selling your property, you want your home to appraise at its highest value. One way to help accomplish this task is to build either an attached or detached garage. Buyers view garages as an attractive addition to a home. Having one can immediately boost the market value of your residence. If you are considering adding a garage on to your home, you will be happy to know that this will likely add value to your property. In a refinance transaction, most mortgage lenders will require you to have at least 20 percent equity in your home. If your home doesn't appraise for a high enough value, you might not reach this equity level. If you are selling your property, you want your home to appraise for at least as much as your asking price. If it doesn't, the lenders working with potential buyers of your property might not be willing to loan these buyers enough mortgage money to meet your asking price. When determining the value of your home, appraisers consider several factors: They'll look at what sales prices nearby homes have fetched. They'll consider whether your home sits in a desirable neighborhood. They'll analyze your home's style, condition and size. They'll look at any improvements you've made to your home. A garage can make your home more attractive to a greater number of buyers. Appraisers will note this and will factor your garage into their determination of your residence's current market value. How Much Value Is Added? How much value a garage adds to your home varies. The cost to build a garage starts at $7,500, with most garages costing much more. On average, expect to spend around $27,000 to build a garage. This will likely up the resale value of your home by about $21,000 for an 81 percent return on your investment. What Decreases the Appraisal of a Home the Most? How Much Value Does Adding a Front Porch Add to a Home? How Much Does a Busy Road Lower Real Estate Value? Does the Cleanliness of Your Home Affect the Appraisal? Does Painting My House Make It Worth More When I Sell? You don't have to build a new garage to add value to your home. You also can boost your home's value by making less expensive improvements to an existing garage. You can add on a new garage door for about a $1,000-$2,000 installation fee, with an additional $300-$4,000 for the door. If you spend the low end of According to Remodeling magazine's Cost versus Value Report, you can expect to recoup about 76.9 percent of the cost of the new door and its installation in increased value, making it a good investment. At the high end, you'll get an 85 percent on your investment for a $2,810 door with $3,300 installation. Compare this with a bathroom remodel, at 64.8 percent and a backyard patio at 54.9 percent and it's a good deal. Fixr: How much does it cost to build a garage? All Style Door: How Much Does It Cost to Install a Garage Door?